Entrust your precious car to professionals when it comes to car washing, grooming, polishing and waxing services. If you are from USJ- Subang Jaya and its surroundings come and try us out at No. 135 Jalan SS19/6. Take out the stress of having to know what products to use, the different steps of polishing and waxing to take and so on in car detailing. Our personnel know best as they are all experienced and competent in the field. Rest assured your car will be in able hands when you come to our car grooming centre for servicing. 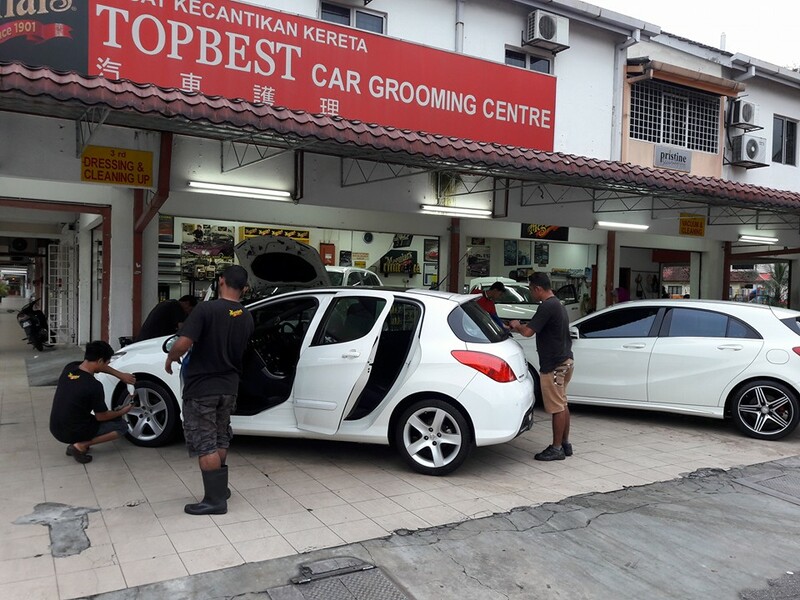 While waiting for your car to be groomed, you can indulge in ‘food tasting’ or shopping at the many shops found in SS19 Subang Jaya where we are located, or get a GRAB taxi to nearby Empire Shopping Gallery or Subang Parade at SS16/1 Subang Jaya, or Sunway Pyramid at Bandar Sunway, or Taipan Business Centre at USJ 9 Subang Jaya. 100% customer satisfaction is our GOAL and we offer a 7-Day Warranty whereby you can return for any free touch ups, if required. Drop by our centre or call us today for a no-obligation quote.